Our pressure washing services will keep the appearance of your properties in great shape. By properly managing the visual appearance of your properties, you will retain and help improve its value while attracting both patrons and tenants. Dirt, grime, mold and mildew build up can cause rot, decay and liabilities on your sites, costing more in future renovations and repairs. Regularly having your property exterior cleaned can help dramatically cut down on these costly repairs. Our Effective pressure washing units are “industrial grade” with up to 3500 psi and hot water will address the most difficult residue build up and will add years to the life of your property. 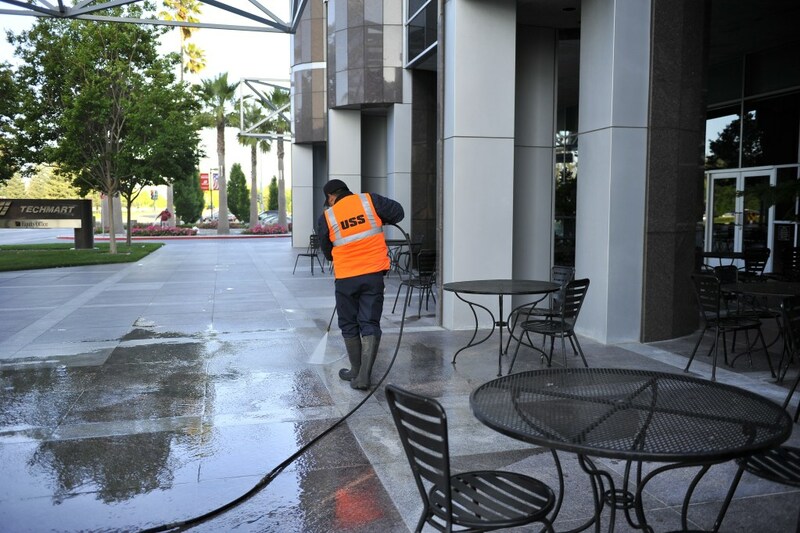 Our pressure washing crews use EPA approved soaps along with MSDS sheets for proper documentation. Our crews are trained and understand the importance of the storm water management program. We ensure that no harmful chemicals will be allowed to drain into the storm water system and take all precautions with the use of water reclaimed units and water booms.